Gerritt O'Rourke was serving in the military when he got word that his parents had been killed by a car bomb back home in Seattle. Since then, he has worked as a police detective in the city, trying to uncover who was behind the murder so he can avenge their deaths. But when a government-sanctioned coalition enlists his help with a top-secret new project, he soon finds himself running for his own life. Off the Grid by Mark Young is an international thriller with an interesting assortment of characters. Gerritt becomes enmeshed in a group of people who are living off the grid, ready to pick up and leave behind their entire lives whenever it becomes necessary to do so. They work together to try to stop a group that is essentially trying to take over the world ~ and kill Gerritt in the process. I enjoyed being reacquainted with some of the characters from Mark Young's novel Revenge, which I read last year. But Off the Grid didn't engage me quite as much as that one. It was an easy read, and the characters were interesting, but they were a bit cliched. This made it harder to really connect with them. There were some definite surprises throughout the story, though, which kept the pages turning. And while the storyline was a bit farfetched at times, it did keep my interest from beginning to end. Young left it open at the end for a follow-up, which I would definitely be interested in reading. 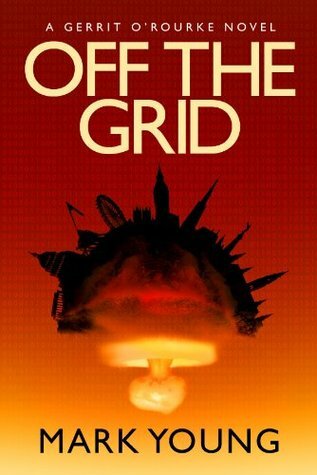 Overall, if you're looking for an easy-to-read thriller with an oddball assortment of characters, check out Off the Grid. This review was written based on an ebook copy of Off the Grid that I received from the author in exchange for an honest review.